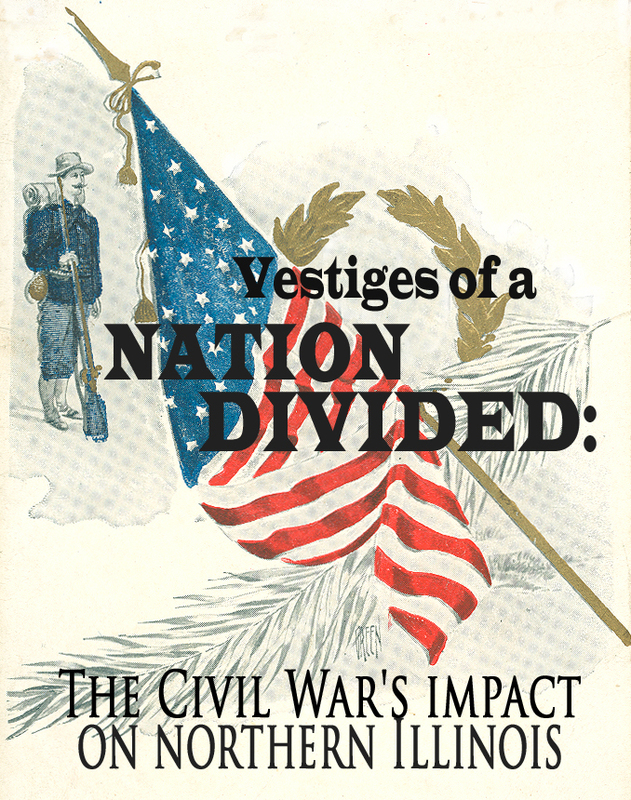 The items in the Vestiges of a Nation Divided exhibit are from the archives of the Regional History Center located at Northern Illinois University. Although they originate across the country, each letter, photograph, or drawing has roots that trace back to the northern Illinois region. This demonstrates that although this Union land was not used as a battle ground, the War's impact upon northern Illinois's residents was far-reaching. Its farmers, doctors, and tradesmen were sent to the distant corners of the country while wives ran every aspect of the home in the absence of their men. Also of critical note is the Civil War's reverberation after the fighting had concluded. Manuscripts created by fraternal organizations relating to the War demonstrate the desire for comradery, sense of recovery, and deep wounds, felt by a nation in the generations after the Confererate's surrender. Viewers of this exhibit are encouraged to view the collection from the map view. The images across the bottom of the map appear in chronological order. They, as well as pink dots indicating geographic location, are clickable and provide more information about an individual item. A view of the collection in its entirety is also available. This exhibit was created by the staff of the Regional History Center, a unique component of the Northern Illinois University’s commitment to education, research, and public service.The Center’s goal is toacquire, preserve, and make available to the public the most significant historical records of the northern Illinois region. The Center actively collects historical material from the 18 northernmost counties of Illinois, excluding Cook. Since 1964 the Center has evolved from a small university archive to a multifaceted research center containing three related sets of historical records available to researchers: Regional Collections, University Archives, and Local Governmental Records.